This has appeared on a wall near work. This is either an awesome piece of retro art, or a warning that they’re coming! This makes me wonder; if Anakin Skywalker eats a meal that just isn’t filling enough, does that mean there’s Space In Vader? 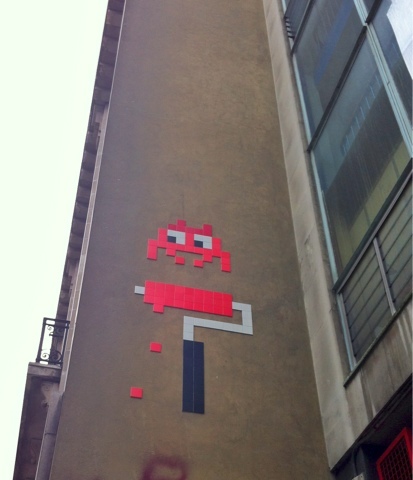 This entry was posted in Humour and tagged art, pun, retro, space invader, star wars, wall by headinablender. Bookmark the permalink.